School has been back in session for almost a month now. It's great to have our normal schedule back with a daily routine. My kids have been super excited to be back in school. They not only get to be in a new grade, they both were super excited to find out who their teacher was going to be this year and to find out what friends would be in their class. Although I am glad to have our daily routine back with the older two in school, now that summer is over and fall is here, that means the flu and cold season is just around the corner. My kids are pretty good with washing their hands before dinner and after using the restroom, but I had to remind them just in case because this is the time of year when kids get sick. We've been using Kandoo Hand-soap with our kids for years now and I wouldn't change it one bit. Not only does their hand-soap contain natural moisturizers like, vitamin E to help moisturize our little ones hands while cleaning, it's also hypoallergenic so all kids can use it. I love that the soap comes in bright colored foam to make it easier for our little ones to know that they're hands are completely covered for a better clean. It's easy to use with a large pump and wide base bottle to help kids use the soap all on their own. I remember when my son was younger, he absolutely loved that he got to wash his hands all by himself without the help of mommy. Standing on his step stool after using the potty and cleaning his hands made him feel like a big boy. Kandoo Hand-soap can be found all across retailers in both Canada and the US. 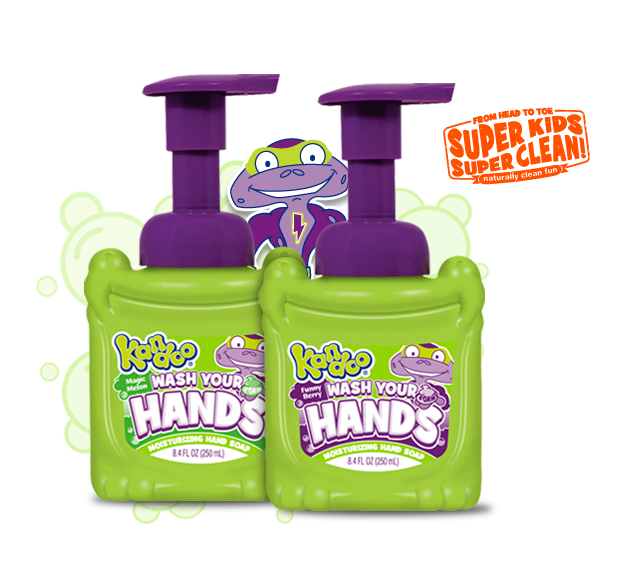 For more information about their hand-soap and other products, as well as tips on keeping you hands clean, be sure to head over to www.kandookids.com. Disclosure: I receive special perks as a part of my affiliation with the Kandoo Ambassadorship. The opinions on this blog are 100% my own.